Tablets are the real thing: Recap from the tablet portion at the SND annual meeting in St. Louis, Mo. Tablets are the next big thing in journalism. 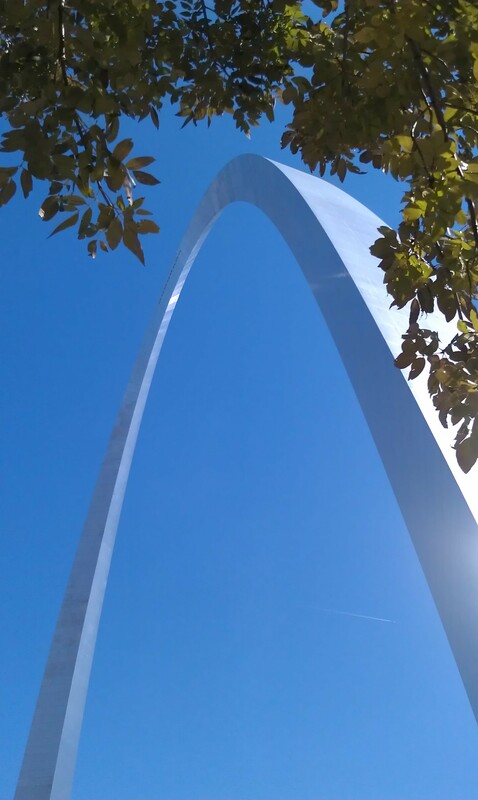 No trip to St. Louis is complete without a visit to the infamous arch. At least, that’s why I got out of the sessions hosted by the Reynolds Journalism Institute at the Society of News Design annual meeting this week in St. Louis, Mo. I, along with two other co-workers at other JRC Michigan properties, Chris Laine at The Oakland Press and Rene Cizio at The News-Herald in Southgate, attended several sessions focusing on the mobile strategies for news organizations, which mostly focused on tablets such as the iPad, Galaxy and the newest kid on the block, the Kindle Fire. Some estimates put 250 million mobile tablets being shipped in 2017, which would be a huge increase in tablet computing. This projected jump is showing news organizations the importance of developing products and content specifically for 7-to-10 inch tablets. This trend is already starting to show, with mobile usage surpassing desktop computer usage for the first time in 2011. One of the sessions that spoke to me was a presentation by Chris Peck, editor of the Commercial Appeal in Memphis, Tenn., and Guy Tasaka, a publisher who worked on nytimes.com when it first launched in 1995 and who is assisting Peck with the launch of a new digital strategy for the newspaper in Tennessee. The Commercial Appeal currently requires its readers on its mobile app to register for access. Starting tomorrow, a metered paywall will be in effect on its website, mobile app and iPad app. The plan, Peck said, is to bundle all the content to encourage subscribers to read and interact with all the products the Commercial Appeal produces, including its print product. This, of course, is a strategy the New York Times has employed, and it seems to be working well. Peck and Tasaka said the studies the Commercial Appeal did showed only 4-5 percent of all readers looked at 10 or more stories on its website. Most of the time, it was someone coming for a single story, and then bouncing off the page. It’s important to note that just because technology is available, it doesn’t mean everything has to be done. This was stressed by Peck and Tasaka, as well as other presenters. In other words, an app for the iPad or other mobile device sometimes isn’t needed. A good mobile site that allows readers to access content can do the trick better than an app. And just because apps are downloaded doesn’t mean they will be used. In fact, the more apps a user has downloaded, the less likely there are going to use them. Apps should also give a reader something different, something unique. Why would a reader download an app, when they can just visit your mobile site to read news? A great example given was working with local transportation. The app informed owners of bus times, scheduled departures, etc., so readers could use it to plan a trip around town. This type of integration could work well if Heritage West were to have an app, possibly working with an entity such as the AATA in Ann Arbor. For a list of mobile links, where many of the articles cited came from, check out Poynter’s Regina McCourt’s list of links here on Delicious. On Tuesday The News-Herald’s online coordinator Jason Alley passed along the much anticipated iPad to me, which I planned to use at a City Council meeting that night. I couldn’t even listen to him give me simple instructions, like how to turn it on, because I was so excited to play with it. Push hear, blah blah, it was like a Charlie Brown interaction with his teacher (sorry Jason, but it’s true). Once left alone, I began flipping through the apps and checking it out. I just really could not wait to play with the cool technology. I came across the notepad and a dictation app, and decided I would test them out at my meeting that night. Before that, though, I had a lot more practicing and playing to do. I spent time in the notepad app practicing how to type, which is difficult. The keys are really close together so I had to be extra careful on key strokes. I wouldn’t consider myself a record breaking typist, but I can pound the keys decently fast, and I found that the iPad had no problem keeping up with me. I practiced by typing headlines and articles from the newspaper on my desk, and thought I was getting pretty good. My co-worker Jackie Martin and I were also testing with the dictation app. Even close up in the office, we didn’t find it completely accurate at all times, but it certainly was impressive. After dinner I headed up to my meeting, with iPad in tow. I was super pumped, and got some impressed looks from people I was sitting near. The council chamber has a speaker system, so I figured while the meeting was getting started I would give the dictation app a go. This is the time when they read the city mission statement and other non-newsworthy items, so I figured it would be a good time to try something new. At first I couldn’t get the dictation app to work, but once it got going it was not able to pick much up. It also could not process clips more than a few seconds long. It was fun to test in the office, but I wouldn’t trust it for newsgathering. The rest of the meeting I went to the notepad. All my practice paid off – wow those keys are really small. What I did find challenging was the apps autocorrect. I often use shorthand while note taking – because becomes b/c, etc. The iPad did not like my shorthand. One time I misspelled dilemma, and it autocorrected to Selina? I thought my notes might be in trouble. Luckily I caught most of the typos as they happened, and found out how to turn off the autocorrect. I was able to connect to the city’s Wi-Fi, and while an issue was brought up about an editorial The News-Herald ran, I quickly read it off our site and was up to speed. That was a capability I had never had before, since we don’t have laptops I’ve been a pen and paper reporter. Overall the iPad was great to have, and with a little more practice and a wireless keyboard I think it would be wonderful to have at meetings. I had all my notes electronically, which became a major time saver and improved my accuracy, since I type faster than I write. The keys also allowed me to type away without bothering anyone, unlike a laptop. Thanks for letting me test it out! With some more apps and practice, I think we could do some really great things with the iPad. I am in the lobby of the Radisson waiting on my Michigan cohorts on barely four hours of sleep after a dinner party last night to kick off our ideaLab meeting in Yardley. It’s not that the dinner went terribly late or the after party at the hotel bar made for a late night. It’s that the dinner party conversation was so stimulating and invigorating that I had all kinds of ideas flowin’ that I didn’t sleep very well. So at our meeting, to be held this morning at JRC’s corporate headquarters, I may be a little sleep deprived, but excited to hear more about the ideas shared last night as a teaser for what’s to come today. I’ll report back this evening. Signing off for now from my iPad, which makes for very easy blogging, especially when the Wi-Fi is free. Thanks Raddison! You can juggle personal time and work responsibilities while on the go using the iPad and, in my case, Documents to Go. While getting my hair colored today and waiting for it to process, instead of reading celebrity gossip magazines, I was productive, editing about eight articles for our next edition. It felt good to be so efficient as I e-mailed myself the files. If the salon had wi-fi, I could have probably uploaded them directly to the website. I plan to experiment with that later tonight, using my wireless router at home.